The specialty of Dermatology focuses on diseases of the skin, hair, and nails. Our 14 board-certified physicians treat over 3000 skin diseases including skin cancer, moles, acne, dermatitis, eczema, psoriasis, to name but a few. Our dedicated dermatology team not only offers clinical expertise but true professionalism and compassion. We think it is vital to make sure that you feel completely at ease with your physician and your care. By managing your dermatology problems, we hope to have a positive impact on your life. The possibilities of dermatology problems are vast! They include acne, autoimmune, skin diseases, dermatitis, diseases of hair and nails, eczema, fungus, leg ulcers, moles, molluscum, psoriasis, shingles, skin cancers, and warts, among others. Dr. Philip Eaton has been in private practice since 2008, specializing in General Dermatology. 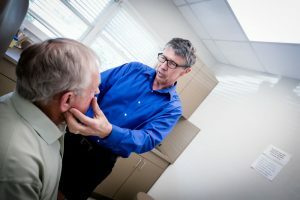 He is a member of the American Academy of Dermatology and served patients with Kaiser Permanente in Honolulu, Hawaii, as well as in Indian Trail and Ballantyne. Dr. William “Chip” Hoover, Jr. is a founding partner of Dermatology Group of the Carolinas and has been practicing for 25 years. He specializes in Medical and Surgical Dermatology with a special interest in psoriasis. Dr. Sarah Koch specializes in General and Cosmetic Dermatology for patients of all ages. She is a member of the American Academy of Dermatology, the North Carolina Dermatology Association, and Alpha Omega Alpha. Dr. Koch joined our practice in September 2016. Dr. Joseph Roche has been specializing in General Dermatology since he began practicing in this area in 1987. Dr. Roche is a member of the American Academy of Dermatology and primarily specializes in adult dermatology and in elderly patients. 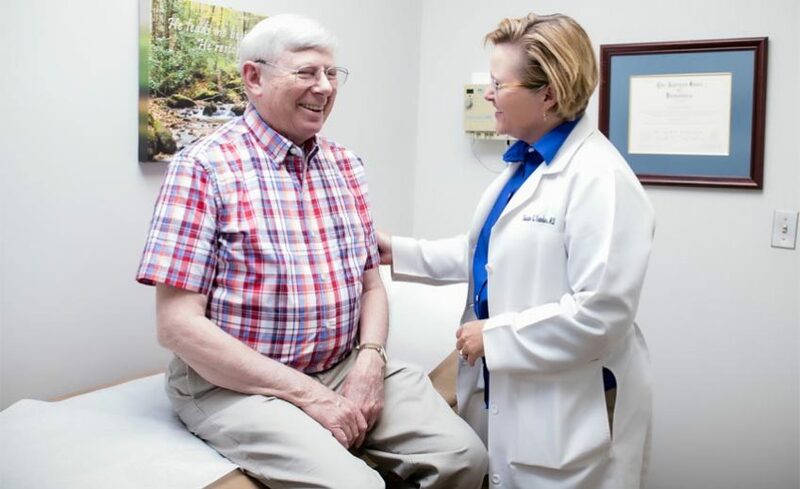 Dr. William T. Sumner began practicing here in 2000 and specializes in General Dermatology, Skin Cancer, Acne, Eczema/Atopic Dermatitis and Psoriasis. He is a fellow of the American Academy of Dermatology and is Board Certified in Dermatology. Dr. Brian Walther specializes in General Dermatology for patients ranging from children to the elderly and is a member of the American Academy of Dermatology and the American Osteopathic College of Dermatology. Dr. Aaron Wever is a member of the American Academy of Dermatology who has been in practice since 2006. He specializes in General Dermatology for all ages but has had a special focus on treating children and teens since he completed his an internship in Pediatrics. ALL YOU NEED TO KNOW ABOUT PROTECTING YOUR SKIN IN THE GARDEN! Did you know that plant sap on the skin when hit with sunlight creates a chemical reaction that can cause painful blisters and rash? The rash may appear within hours to a few days. To avoid this ensure you wear gloves and long sleeves to prevent direct contact with your skin. Be generous! Apply to all visible skin including your ears and lips to ensure you are protected from the sun’s harsh rays. SPF 30 or higher is a must and water resistant broad-spectrum protection is an added bonus while working outdoors! We promise your skin will thank you later! TIME OF DAY IS IMPORTANT! Items such as fertilizers or pest repellants may cause irritation to your skin such as a mild rash or, even worse, a severe burn. Please read the labels and follow the precautions to protect yourself & your skin. This is self explanatory. 😉 Keep a cloth handy to wipe away sweat or blot your face. Minor injuries in the garden should not go untreated. Even those beautiful roses aren’t worth a damaging infection right?! If those pesky thorns jump out and get you, take action. Wash the wound with soap & water, apply petrolatum ointment & bandage before continuing. Your Skin. Our Experts. Make your appointment today! Call us at 704.784.5901 or request an appointment online for any of our three locations - Concord, Salisbury, and now Huntersville! © 2018 Dermatology Group of the Carolinas. All rights reserved.